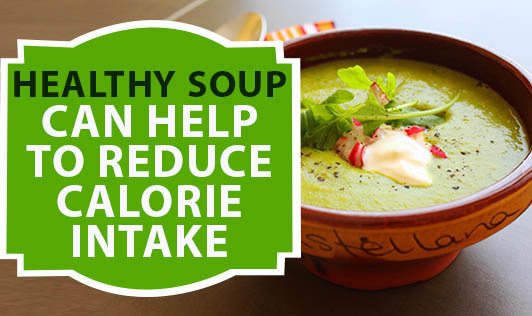 Eating a healthy, clear soup at the beginning of a meal can help to reduce your total calorie intake in that meal. Soup made with plenty of vegetables can partially fill up your stomach because of the volume and fiber present in vegetables. Warm soup in cold weather also has a feel-good factor. If pepper, garlic or ginger is added to the soup, it also helps open up your airways. But remember that adding cream, whole milk, butter or corn flour can shoot up the calorie value of the soup. So stay with the clear vegetable version. Try out this easy healthy soup recipe and share your comments. Dice all vegetables. Roast crushed garlic, chopped onion and jeera seeds in a pan. After a minute, add all the other vegetables. Cook till soft. Cool the mixture and blenderize. Add salt, pepper powder and capsico sauce and mix well. Add water if required. Garnish with coriander leaves. Serve hot.